Victor Shklovsky was born in St, Petersburg, Russia, on 12th January, 1893. 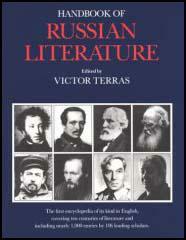 After finishing his education at the University of St. Petersburg he established the Society for the Study of Poetic Language. Shklovsky wrote about literature and influenced a generation of young writers in Russia. This included the Serapion Brothers a group that included Nickolai Tikhonov, Mikhail Slonimski, Vsevolod Ivanov and Konstantin Fedin. The Serapions insisted on the right to create a literature that was independent of political ideology. This brought them into conflict with the Soviet government and resulted in them having difficulty getting their work published. In 1923 Shklovsky went to live in Germany where he published the novels, A Sentimental Journey (1923) and Zoo (1923). 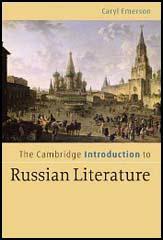 He was persuaded to return to the Soviet Union and afterwards tended to concentrate on literary criticism. This included the books such as On the Theory of Prose (1925) and The Technique of the Writer's Craft (1928). In these books Shklovsky argued that "literature is a collection of stylistic and formal devices that force the reader to view the world afresh by presenting old ideas or mundane experiences in new, unusual ways". He uses the example of coloured glasses on our perception of a landscape. The coloured glasses distort, but also arouses a curiosity that makes the landscape totally new and different. Under pressure from the Soviet authorities, Shklovsky attempted to embrace socialist realism in essays such as Monument to a Scholarly Error (1930). Victor Shklovsky died in Moscow on 8th December, 1984.